How Do I Get the Lowest Rate on an FHA Loan? Your relative could have had some high-risk factors working against him, such as a bad credit score or a high level of debt. Those are just two of the factors that can influence the rate a borrower receives. Let’s tackle these questions one at a time, starting with the first one: How do FHA lenders determine mortgage rates. Individual factors include your credit score, your income level, the size of your down payment, and the amount of debt you currently carry. All of these items influence the level of risk you bring, as a borrower. And lenders use risk-based pricing when charging interest. Borrowers can also pay discount points at closing, in order to get a lower rate on a FHA loan. Economic factors include the “funds rates” used by banks, when they borrow money from one other. The overall strength of the economy plays a role here as well. Generally speaking, interest costs tend to rise when the economy is improving. Lastly, the price of Treasury bonds and mortgage-backed securities (MBS) can affect mortgage rates. Here’s another way to think about it. Economic factors and industry trends will determine the average rates being offered by lenders on any given day. The individual factors will determine the exact rate that you receive, as a borrower. Bottom line: If you want to get the lowest rate on an FHA loan, you should focus on the factors you can actually control. You can’t control the economy or the price of a Treasury bond. But you can manage your debt and your credit score, and these things have a direct influence on your interest charges. You can also use discount points to “buy down” your long-term interest rate. Well-qualified borrowers — those with excellent credit, minimal debt, and plenty of cash reserves — tend to qualify for the lowest rates on FHA and conventional mortgage loans. High-risk borrowers tend to get charged higher interest rates, and are sometimes denied financing altogether. This is an important distinction that many first-time home buyers fail to understand. They see a TV commercial or an online advertisement that offers a certain rate, and they automatically assume they are qualified to receive it. But such offers are always followed by a disclaimer that limits the deal to “well-qualified borrowers.” Based on your credit score, down payment and other factors, you may or may not meet the definition. Lenders typically advertise the absolute lowest rate they are willing to offer at a given time. They do this to entice borrowers and to generate more loan applications. But not everyone will qualify for the best deals available. It depends on the individual factors discussed in the previous section. What is a low rate, anyway? How do you spot a “good deal” on a home loan? 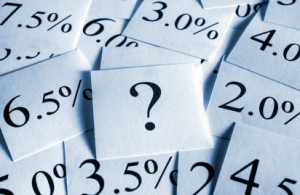 The first thing you need to do is find out where the bar is currently set, in terms of average rates. There are several websites that offer this kind of information. For starters, check out the weekly mortgage market survey on Freddie Mac’s website: www.freddiemac.com/pmms. It is one of the leading indicators of rate movement, dating all the way back to the 1970s. Research is key. You won’t know if you’re being offered the lowest FHA rates available until you survey the market. You have to figure out where the baseline lies. These guidelines are not written in stone. They simply represent current trends in the lending industry. Keep in mind we are talking about getting the lowest rates on an FHA loan. You could qualify for a mortgage outside of these parameters — but you probably wouldn’t get the lender’s best deal. Qualifying for a mortgage loan, and getting the lowest possible rate, are two different things entirely. When you apply for a home loan, be sure to ask the lender about discount points. In this context, a “point” equals one percent of the loan amount. Think of it as a form of prepaid interest. You pay a certain amount up front (at closing) in order to secure a lower rate over the long term. If you stay in the home and keep the loan past the break-even point, you could end up saving money in the long run. Disclaimer: Mortgage pricing is a complex process that varies from one lender to the next. This article provides a simplified overview of how it all works. But it doesn’t cover everything. We make no claims or guarantees that any of the strategies mentioned above will help you secure a better interest rate on an FHA loan. They are simply offered for your consideration.